New publishers and merchants join affiliate marketing every day. With all the conveniences and only a few risks, it’s no wonder affiliate marketing is popular. In fact, with numerous affiliate networks, nobody can tell how many people take part in affiliate marketing. However, HostingTribunal.com collected interesting data that can give you an idea of how huge affiliate marketing is. To start, affiliate marketing was worth over $12 billion in 2017. The data for 2018 isn’t out yet, but if the the previous years are an indication, we can expect affiliate marketing value to get as high as $13 billion. Also, experts project the 10% annual growth rate to continue until at least 2021. This means more businesses will join and more affiliates will make a profit. Affiliate marketing is even threatening to overtake email marketing. At the end of 2017, affiliate marketing tied with email marketing at 16% of all ecommerce sales. When the data for 2018 is out, affiliate marketing might wear the digital marketing crown. The stats are encouraging both for companies and publishers. In 2017, affiliate links got over 5 billion clicks and netted over 170 million sales. That means affiliate marketing is insanely effective. That‘s why 81% of brands rely on some form of affiliate marketing. Some marketers even made it big – really big. Jason Stone made $7 million in affiliate sales through Instagram. His success shows the effectiveness of promoting the right product and leveraging social media as part of your strategy. 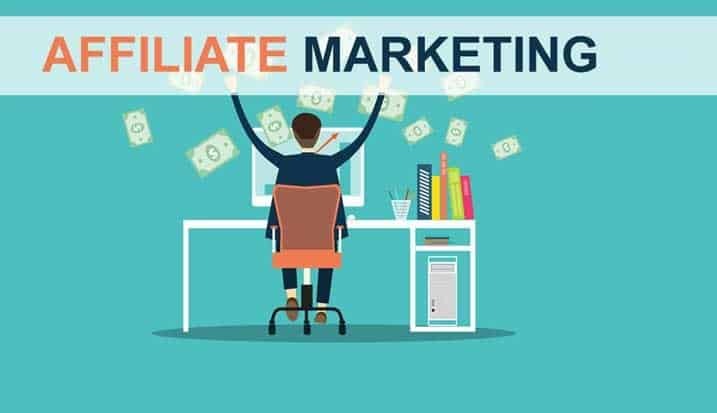 All of this serves only to give you a glimpse of how colossal affiliate marketing really is. It’s a platform with hundreds of thousands, if not millions, of affiliates, all working to deliver products to the people interested in them. The infographic below has more info on affiliate marketing. If you’re interested in trying it for yourself, it’s a great place to start.